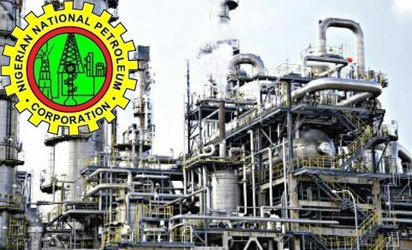 The Nigerian National Petroleum Corporation (NNPC) says its Group General Manager, Crude Oil Marketing Division, Mallam Mele Kyari has been appointed Nigeria’s National Representative to the Organisation of Petroleum Exporting Countries (OPEC). The NNPC said in Abuja in a statement by its Group General Manager, Group Public Affairs Division, Ndu Ughamadu. According to Ughamadu, the appointment is made by Nigeria’s Head of Delegation to the OPEC Conference and Minister of State for Petroleum, Dr Ibe Kachikwu. Ughamadu noted that the position required Kyari to lead Nigeria’s team to the OPEC Economic Commission Board which precedes the bi-annual meetings of the OPEC Ministerial conference. The Board has the task of reviewing the global oil markets and make input from the perspectives of the individual member countries. Ughamadu explained that Kyari may also be required to provide support to Kachikwu and the OPEC Governor in the performance of Nigeria’s roles and participation in OPEC matters. The post NNPC crude oil marketing Chief appointed Nigeria’s OPEC representative appeared first on Vanguard News.